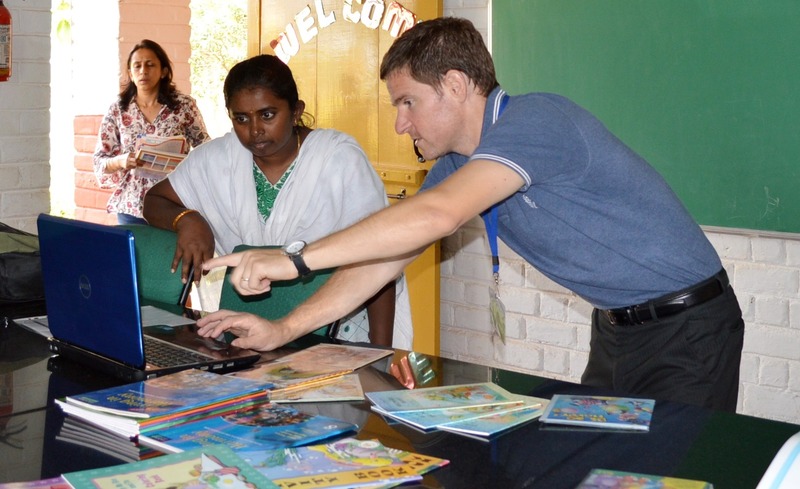 Many, many thanks to Activated Ministries for helping to make 2013 another successful year as well as my trip to India all possible, sponsoring 22 libraries and administration cost to manage the expenses, pay for travel, invest in development and outreach. Despite setbacks and geographical changes, 2013 poses to be one of VIE’s best years yet, with the efforts continuing on through the first few months of 2014. Our target reach for the 22 libraries sponsored continues to stand at more than 5,000 children, which will bring our total documented stats to 20,000 children. Exciting! Again, thanks to you! Due to communication and coordination details our six month project started in September 2013 and will follow through till the end of February 2014. So far, I was able to travel early October to help meet up with the project managers in Bangalore, India which consisted of Pradeep Kumar (you will see him in some of the photos) and Daniel (Mr. Kodandapani Rameshan, board member of Family Care Coimbatore) and mapped out a month by month plan to accomplish the goals and sponsorship objectives. Then along with Pradeep, I started delivering the libraries and meeting with teachers and educational institution’s administration. It is always encouraging to hear from those receiving the library(s) how useful and valuable our material is for them. It is always a highlight to talk about ways and holistic methods to educate little minds in the very important yet unformulated subject of teaching moral principles and human values. It provides us all with a vivid reminder of how important our project is and what a great impact your help to partner with our cause is making. 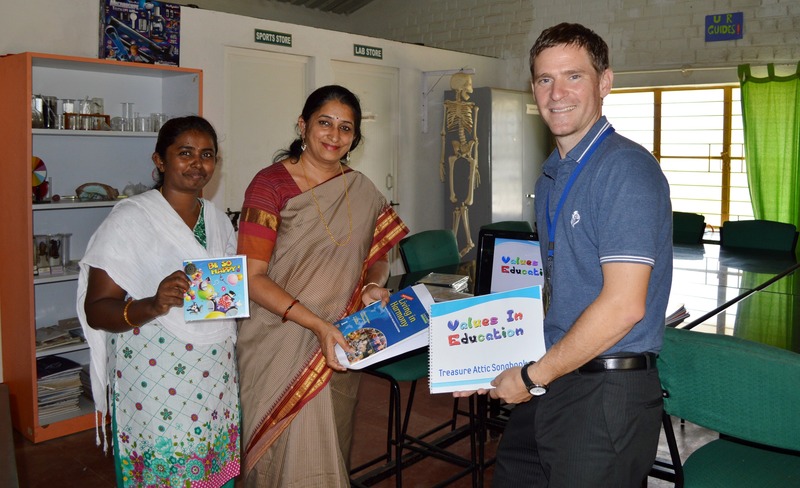 Reaching out to Indus Community School just outside of Bangalore, we received a warm and enthusiastic welcome by the Principal who connected deeply with our vision and importance of values education and moral development for young children. The school is beautifully kept and simply layout for optimal learning and their much needed service is growing quickly every year. 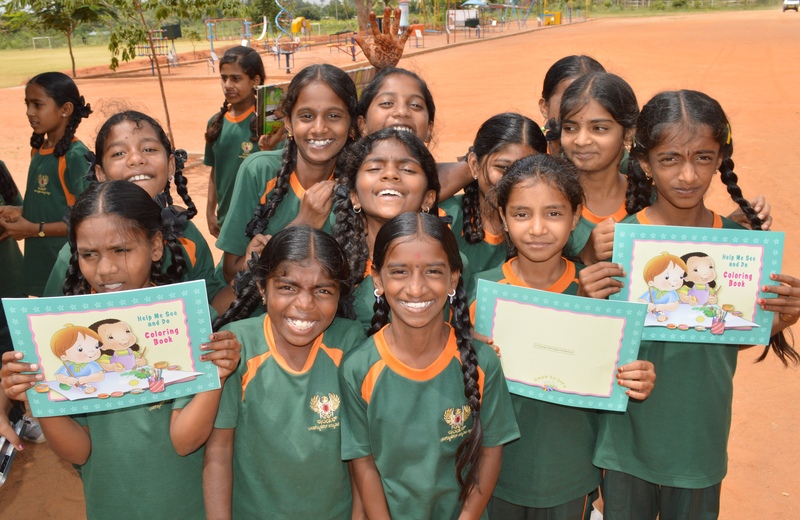 Building Blocks India is an organization committed to breaking the poverty cycle in India by providing free quality education to under-privileged children. Three years ago, with four schools and about 200 pre-school children learning with Building Blocks, I visited and documented details and the standard of their model of educating and empowering slum children in order to replicate this module in other metropolitan cities such as Mumbai and Delhi, and so it was exciting to meet the team once again, this year with two new schools and with a growing impact of over 620 children. It was a privilege for VIE to in some way provide assistance and valuable teaching aids for their moral and character lessons. 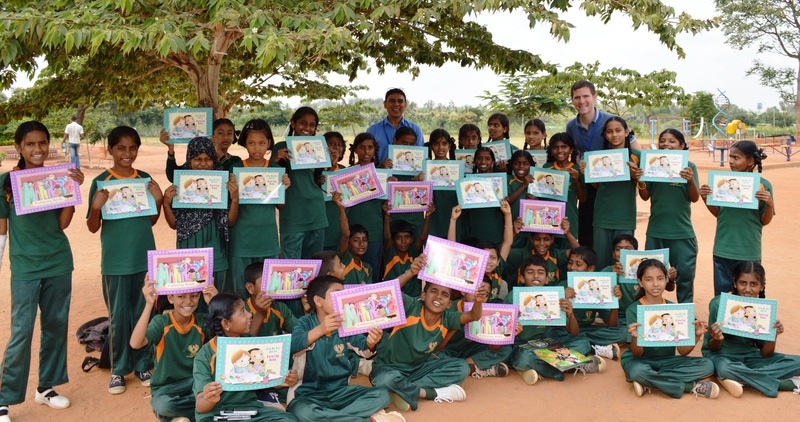 For years in Bangalore, I along with other volunteers would drop by Gerizim on special days to spend some time with the children who lived and studied there. These children had special needs and care takers who looked after them as foster parents. This was their home now and their expanded family. The administration was always so welcoming and grateful for anyone to come and show care and love to the children, boy would they light up and get excited. They understood concern and love just as you and I naturally do, and in their non-complicated way, showed obvious appreciation. It was a joy for me to drop by and to get back in touch. This time due to the sponsorship of the VIE program, when it was time to go we left with them a part of us, through our captivating audio/visual library which had the children learning while laughing. Thank you for your sponsorship which reaches out to so many… one heart at a time! This is a huge organization with a reach of thousands of children which are disabled in some way or form. 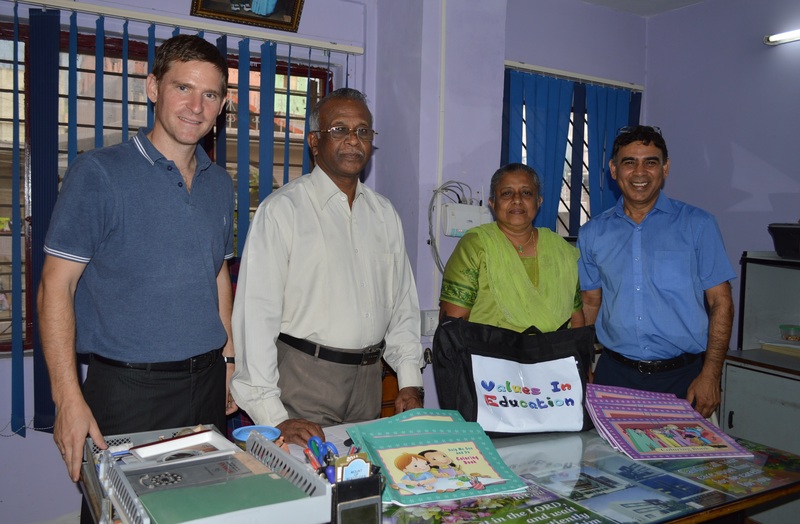 They provide education, accommodation, nutritious food, training, placement based rehabilitation, etc. It was an honor to meet with the founder who himself is disabled, and talk about his work and amazing services for the poor, while we both agreed with the need and importance for value, character education. They were so appreciative and the kids loved to interact, take photos and have fun with us while at their centre. This organization would like to work together more with us next year, as they requested more teacher and youth training in our core subject of values and overall development. So look out for more partnership between our project and this wonderful organization in the future. 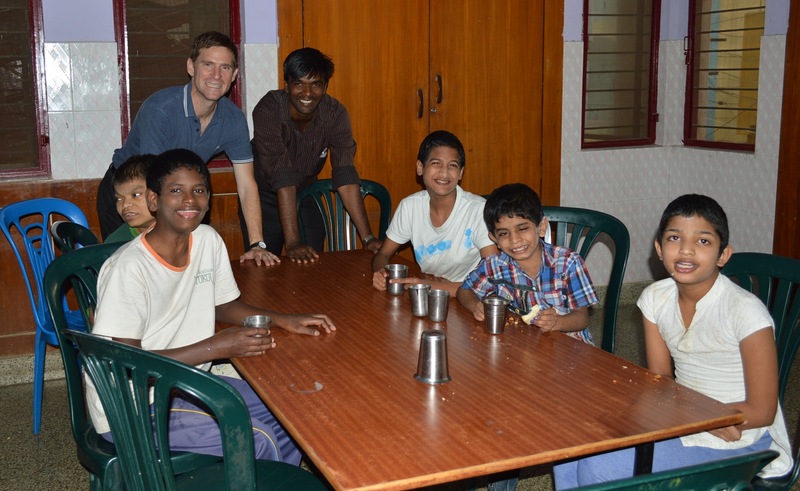 I have wanted to reach out to the community school in Dharavi, a huge slum in the heart of Mumbai where the famed movie “Slum Dog Millionaire” was set. Hundreds of thousands of people, workers and children live in this slum, where most families of 4 or more all live together in a single-room-house not more than 10 feet by 15 feet in size. That includes their living room, dining room, kitchen, etc… the whole house! Reality Gives is the social vertical of Reality Tours which provides detailed and informative tours throughout Dharavi and South Mumbai. I had 45 minutes to sit with the teachers and department administration to explain in detail our library contents, the curriculum and how we can help them to more easily and effectively provide values and character education to the children they serve. We had a great time and before we knew it little children were flocking outside the room ready for school as our time had run up. 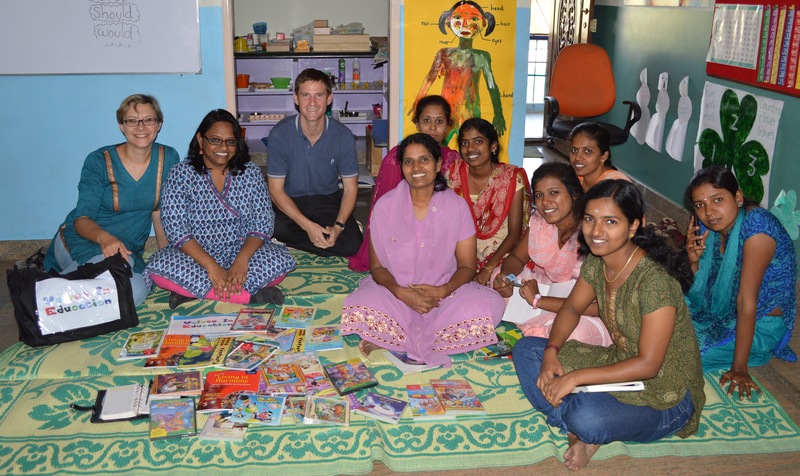 Soon after I received a letter of appreciation from the co-founder of RealityGives, thanking me for the materials, the time spent with the teachers and how our project helped them to think even more about this side of the child’s development.